Comprising over 6800 islands spanning almost 378,000 square kilometers, Japan is a vast, varied and fascinating country. Home to a unique blend of modernity and tradition, wonderful natural scenery as well as warm and friendly people, it is no wonder many yearn to go to the Land of the Rising Sun. The Japan tour starts in the vibrant and lively cosmopolitan capital, Tokyo. Experience and embrace a truly diverse city, from its cultures, temples, shrines, metropolitant feel and even some nature. Speaking of nature, one of Japan's most iconic figures, Mt Fuji will also be focused on at the small mountainous town of Hakone. The town is famous for its onsen natural hot springs and has an abundance of soothing natural beauty. There will be ample time to soak it all in, whether by foot, cable car and by ship. Hop onboard the world famous bullet train, zipping at up to 300 kilometers an hour to Takayama, winding through tall mountains and stunning gorges along the way. Sample some sake at a local brewery, visit the local market and indulge in the town's workshops in a unique and almost isolated town. Another stunning train journey awaits alongside the Sea of Japan to Kanazawa. Bask in the tranquil and charming environment, perhaps the best-preserved major Edo-period city in the country. The next scenic train ride takes you to Hiroshima. The city has risen from the tragic past to proudly boast wide boulevards, a laid back ambiance and friendly people. Soak in the history and character of the city, visiting museums, parks and the Floating Torii Gate. Board the bullet train one last time to Kyoto, Japan's cultural capital. From castles to shrines and hands-on activities like Calligraphy or Origami experiences, Kyoto will surely leave a positive impression. The final destination on this Japan tour is Nara, the former capital during the 8th century. Experience the city's main sites with the revered deer residents; believed to be the gods' messengers. Arrive in Tokyo, where you will be welcomed by our airport representative who will assist you with transferring by either train or shuttle bus to your hotel. The rest of the day is at your leisure. Today you will spend a full day taking in some of the many highlights Tokyo has to offer with a local guide by public transport.First stop is nearby Meiji Jingu, Tokyo’s most famous shrine, dedicated to the spirit of the late Emperor Meiji. The shrine is a popular site for Japanese Weddings; if you are lucky you may see a bride and groom dressed in traditional Shintowedding attire.From old to new Tokyo as we then take a walk down Omotesando, commonly referred to as Tokyo’s Champs-Elysee. This broad, tree lined avenue features a multitude of fashion flagship stores designed by internationally renowned architects within a short distance of each other.A short subway ride will then take us to Asakusa, part of Tokyo’s Shitamachi, or old town. 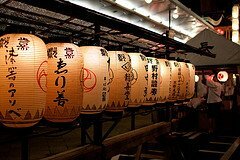 Asakusa is home to Sensoji Temple, Tokyo’s oldest Buddhist temple, and is also the city’s oldest Geisha district. The streets around Sensoji have many traditional shops selling Japanese crafts and souvenirs and are a delight to wander through.We will then see Tokyo from a different angle as we take a cruise down the Sumida Gawariver by boat to Hamarikyu-Teien. This stunning former private garden of an Edo Period lord is an oasis surrounded by a sea of skyscrapers. Note: The order of this itinerary may change according to the location of your hotel. Overnight in Tokyo. Today is a day at leisure for you to explore this amazing city. Make an early start to visit the world Famous Tsukji Fish Market, visit the electronics district of Akihabara or discover Tokyo’s world class museums and art galleries. Or, you can choose to make an excursion outside of Tokyo to the delightful seaside town of Kamakura. One of Japan’s former capitals, Kamakura is a home to many ancient temples and the Daibutsu, a giant bronze Buddha. Kamakura is 1 hour by train from Tokyo. We will provide you with detailed information of all the options available to you. Overnight in Tokyo. An early start today as you leave Tokyo behind and make the 2 hour journey to Hakone, the gateway to Mt. Fuji and surrounding national park. This small town is famous for its onsen (natural hot springs), and has natural beauty in abundance.Armed with your included Transport Pass, you can take advantage of the numerous forms of transport on offer throughout the Park. Ride the world’s second longest cable car up Mt. Owakudani, passing over sulfurous fumes, hot springs and hot rivers in this volcanic area, where you can eat an egg hard boiled in the sulfuric hot springs which make Hakone famous. If you do, it will add seven years to your life! A majestic replica pirate ship will sweep you across the Lake Ashinoko, a lake formed by a volcanic eruption 3000 years ago, and the Hakone Tozan ‘switchback train’ zigzags though the mountains, giving amazing views of the surrounding valleys. Throughout the day you will have the chance to get a glimpse of Mt. Fuji, however please keep in mind that she is a notoriously shy mountain and it needs to be a clear day.Hakone offers many other options as well, including the Hakone Open Air Museum, featuring sculptures from world renowned artists set against the back drop of Hakone’s picturesque mountains. Of course, there are hundreds of onsen to try as well. We will provide you with detailed information of all the options available to you. Tonight, you stay in a traditional Japanese-style ryokan accommodation, complete with tatami mats, shoji rice paper sliding doors and onsen baths. This evening, relax in your yukata (lightweight kimono), and dine on a sumptuous kaiseki multi course meal, served by kimono clad waitresses. An onsen after dinner is highly recommended before you bed down on your futon. Overnight in Hakone. Time for one last soak in the onsen before undertaking the 4 hour train journey to Takayama. The first leg will be on the world famous Shinkansen bullet train, which reaches speeds of up to 300km/h. You will then change onto the Limited Express Hida Wide view for the one of the most scenic train journeys in Japan, winding your way through tall mountains and stunning gorges. Due to its previously inaccessible location nestled high in the mountainous Hida alpine region, this beautifully preserved old town was cut off from the rest of Japan, allowing it to develop its own unique culture. This afternoon we recommend visiting one of the town’s many sake breweries for a taste of the local drop, its high quality due to the area’s clean water sources. Tonight, you will stay in Japanese style ryokan accommodation with hot spring onsen bath. Overnight in Takayama. After breakfast head up to the Miyagawa morning market with stalls selling local crafts and produce. This is a great opportunity to try some of the region’s delicious fruit and vegetables. A short bus ride will take you to Hida No Sato Folk Village, an open air museum exhibiting over 30 typical farmhouses and other traditional buildings from the Hida region. There is also a workshop in the village illustrating how many of Japan's famous handicrafts are made, including wood carving, tie-dying, weaving, and lacquering. In the afternoon, you can visit the Takayama Festival Floats Museum, displaying floats from the famous Takayama festival, or simply wander through the beautifully preserved old town. Overnight in Takayama. Another stunning journey today as you continues your train journey alongside the Sea of Japan to Kanazawa. In the 17th century this beautifully preserved castle town was Japan's wealthiest, and it became a thriving center for culture and arts. 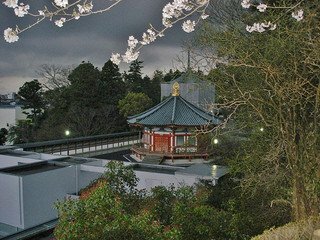 This afternoon, we would recommend visiting the Nagamachi Samurai district, including a visit to the Saihitsuan Yuzen Silk Center, offering demonstrations of the centuries-old Yuzen silk painting technique as well as the Nomura Samurai House, a traditional Japanese home with tea-ceremony room, an interior courtyard garden and artifacts from the Edo period. Overnight in Kanazawa. The highlight of any visit to Kanazawa is Kenroku-en Garden. 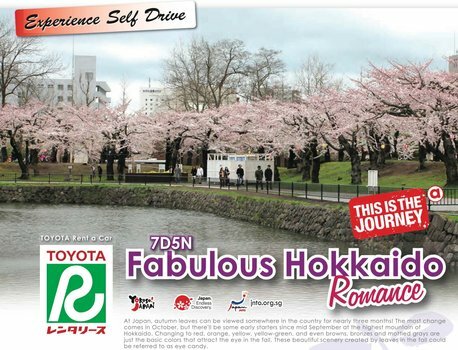 Ranked one of the top three in Japan, its breathtaking beauty shines through in any season. A visit to the imposing Kanazawa Castle next door is also a must do. There are several Kanazawa lacquer ware and pottery galleries near the Park, as well as the impressive Museum of Contemporary Art. Kanazawa is also home to many interesting temples as well as a bustling seafood market. We can arrange for a volunteer guide to join you today. Overnight in Kanazawa. Back on the train for the 4 hour journey to Hiroshima. Perhaps more than any city in the world, Hiroshima is famous for one moment in history on 6 August 1945 it became the first target of an atomic bomb. However, Hiroshima has risen phoenix-like from the ashes, and rebuilt itself as one of Japan's most laid back, vibrant cities full of wide boulevards and Art Museums, great food and friendly, welcoming people. This afternoon, you will have time to visit your exploration of Hiroshima. Overnight in Hiroshima. This morning head to the Peace Park and Museum for a sobering reminder of the events 65 years ago. However, far from being a depressing experience the overriding theme of the Museum is one of hope and peace. In the afternoon, you can take a short ferry ride to Miyajima Island, a famous wooded island located in the Inland Sea near Hiroshima. Here you will find perhaps the most photographed site in Japan - The Floating Torii Gate. Designated as one of Japan's '3 Most Beautiful Views', the shrine itself dates back to the 6th century and is designed in a pier like structure. Mere 'commoners' were not allowed to set foot on this holy place. You will have time to explore the island and its many shrines and temples, sample local goodies like maple leaf shaped cakes, and have the option to hike up to the peak of the island, Mt. Misen, to see spectacular views of the surrounding islands. Overnight in Hiroshima. Time for one last ride on the Shinkansen as you undertake the 2 hour journey by Shinkansen to Japan’s cultural capital, Kyoto. Kyoto is home to an astonishing 2000 Shrines and Temples, including 17 UNESCO World Heritage Sights. This afternoon, you will have the opportunity to visit the home of an instructor of one of Japan’s Traditional Arts. You will learn the basics of Origami (literally ‘folding paper’), calligraphy (learn how to draw kanji) and the Japanese Tea Ceremony. You will also be able to observe an instructor performing the Japanese art of ikebana (flower arrangement). Overnight in Kyoto. Today you explore the former imperial capital with a knowledgeable local guide, utilizing Kyoto’s comprehensive bus system to visit some of Kyoto’s World Heritage Sites. You will start your day with a visit to Nijo Castle. This ornamental castle was built by the founder of the Edo Shogunate as his Kyoto residence and is surrounded by stunning surrounding gardens. The main building was completed in 1603, and is famous for its Momoyama architecture, decorated sliding doors and‘chirping’ nightingale floors. Continue on to Kinkakuji, the Golden Pavilion. Originally built as a retirement villa for the Shogun, after his death it became a Buddhist Temple at his request, and is now one of Kyoto’s most famous temples. The final stop of the morning is Daitoku-ji Zen temple complex, which consists of a main temple and 22 sub-temples. You will visit Daisen-in sub temple, which was founded in 1464 and has one of Japan’s best Zen rock gardens, perfect for a spot of Zazen meditation after a busy morning. After lunch, visit Kiyomizu (Pure Water) Temple. From the 13m high veranda jutting out from the Main Hall you can enjoy amazing views of the whole of Kyoto, whilst pondering the fact that both the Main Hall and Veranda were built without the use of nails or any kind of joiners. Finish off the day with a stroll through the atmospheric Higashiyama district, whose busy lanes lead up to Kiyomizu and are filled with quaint shops selling souvenirs including Kiyomizu-yaki pottery, sweets and pickles. This morning you will make the short 45min trip by train to Nara. For 74 years during the 8th century Nara was Japan’s capital and many of the temples and shrines built at that time still remain. We would recommend visiting Todaiji Temple, the world’s largest wooden building and home to Japan’s largest Buddha, and Kasuga Taisha, Nara’s most celebrated shrine. You will also have time to wander through Nara Park, called Deer Park by locals due to the large population of tame deer living there. The afternoon is free for you to continue your sightseeing in Nara or Kyoto. Overnight in Kyoto. After Breakfast, enjoy your day at leisure until your included transfer to Kansai Airport. If departing from Tokyo Narita airport, we can arrange a return ticket to Narita Airport (4 hours) as well as an additional night in Tokyo if required. All Entrance Fees and Transport on Day 2 and 12. Personal expenses (drinks, laundry, telephone, etc.). Upon arrival in Narita/Haneda International Airport, Transfer to Hotel by Airport Limousine Bus and free at leisure. Free at leisure. After transfer to Narita/Haneda International airport for your flight home. Depart for your pleasant flight to Fukuoka (via Haneda). Upon arrival, proceed for lunch thereafter visit Dazaifu Tenmangu Shrine where people gather from throughout the country to worship the God of Education. Thereafter, proceed to Tenjin for a shopping spree. Next visit Omura Park, to see Kushima Castle and Omura Shrine. In the evening visit the Nagasaki Chinatown. Accommodation: Nagasaki New Tanda Hotel or similar. This morning, visit the Glover Garden exhibiting a former foreign settlement and western buildings for those days. It's also noted for its scenery reminiscent of the setting for Puccini's opera "Madam Butterfly" statue. Next, Oura Cathedral as Nagasaki one of the earliest ports opens for trading. Take a stroll through the Peace Park, which commemorates the atomic explosion in World War II. In the park stands the Statue of Peace and stop by the Atomic Bomb Museum, where you can see preserved evidence of the atomic blast. Then en-route to Beppu to visit the famous Jigoku "Hell Valley", including the blood pond and the sea pond. Accommodation: Beppu Kamenoi Hotel or similar. After breakfast, we will journey to Aso. A bird's-eye view of panoramic Mt. Aso by ropeway (subject to prevailing weather condition) to witness its distinctive huge crater basin and the unique Komezuka "Hill of Rice". En-route to Kumamoto, we'll make a photo stop at the majestic Kumamoto Castle (admission to Castle's Museum not included), one of the three most beautiful castles in Japan as well as visit the Suizenji Park, a symbol of Kumamoto. Accommodation: Kumamoto New Sky Hotel or similar. After breakfast, drive towards Kagoshima, the city abounds in scenic attractions, and hot spring and is dominated by Sakurajinna one of the world's foremost active volcanoes. After lunch, proceed to lbusuki, one of the most celebrated hot-spring resorts in Japan especially an unique form of hot sand-bathing is offered here and is a great way to relax. Accommodation: Kagoshima Tokyu Hotel or similar. Transfer to Kagoshima Airport for your flight to Tokyo. Upon arrival, visit the famous Asakusa Kannon Temple. At the Nakamise Shopping Street, where colourful street filled with wide selection of souvenirs and traditional Japanese snacks. Next The Daiso, every item is priced at 100 yen, with some exceptions. 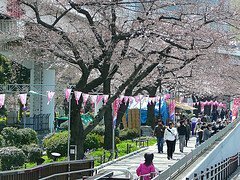 Thereafter proceed to Ueno, where you can purchase food products, upscale fashions and other miscellaneous goods at reasonable prices. Thereafter, proceed to Narita AEON Shopping Mall for a great shopping spree. Accommodation: Garden Hotel Narita or similar. Hotel is not located in Tokyo city. It is near Narita International Airport. This morning free at leisure until your transfer to Narita International Airport for your flight back to Singapore with sweet memories of ANA First Choice Holiday. After breakfast, proceed to Mt Fuji 5th Station - Peace Park - Gotemba Premium Outlet - Tokyo. Note: Due to weather conditions, Mt Fuji 5th Station, will be replaced by Fuji Center and West Lake Samurai Village. Upon arrival in Narita/Haneda International Airport, be transferred to Hotel by Airport Limousine Bus and free at leisure. Meet at hotel lobby and proceed to Japan Tallest Mountain - Mt. Fuji. Move on to Mt. Fuji 5th Station (Subject to weather conditions). Have lunch at Lake Kawaguchi-ko and enjoy the natural beauty surrounding Lake Kawaguchi. Proceed to Owakudani, a volcanic zone to see the 100 degree natural spring waters. Return back to Tokyo to shop at famous shopping district – Harajuku before returning back to hotel. Free at leisure. After check-out, be transferred to Narita/Haneda International airport for your flight home. Japan is one of archipelagic states in Asia which is rightfully proud of its inventions, solid economic condition, and cultural wealth. Japan tour package price list are usually quite expensive, but it is worth it because Japan offers travellers extraordinary tourist destinations and modern public facilities. 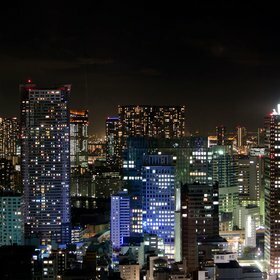 During your tour to Japan, you might feel that you are in another world because this country has rare uniqueness, start from its communities, cultures, fashion tastes, to technology innovations. There are many tourist destinations you must visit, which scattered in various cities around Japan. 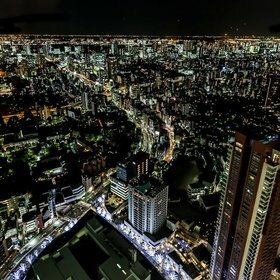 Tokyo should be the number one city that is listed in your itinerary. 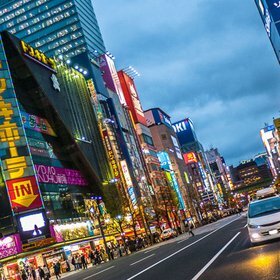 During your time there, enjoy Tokyo Disneyland, Ghibli Museum, Tokyo Skytree, Yoyogi Park, Shibuya, Shinjuku, Akihabara, Tsukiji Fish Market, Harajuku, Sensoji Temple, and many more. Other fascinating cities in Japan that must become your stopover are Kyoto and Nara. In these two cities, you can relish Japanese culture by visiting numerous temples, such as Ginkaku-ji Temple, Kinkaku-ji Temple, Kyoto Imperial Palace, Todaiji Temple, and Nara Park. 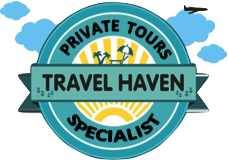 Make sure your holiday package do not miss a visitation to Osaka which keeps bizarre tourist attractions, like Osaka Castle, Universal Studios Japan, Osaka Aquarium Kaiyukan, Tennoji Park, and many more. It might be a good idea to learn some Japanese words since Japanese people really appreciate tourists who try to speak their language. To sum up, the main key to enjoy your holiday there is experiencing combination of cultural trip and trip to modern and futuristic places in Japan.